2013 is off to a great start! 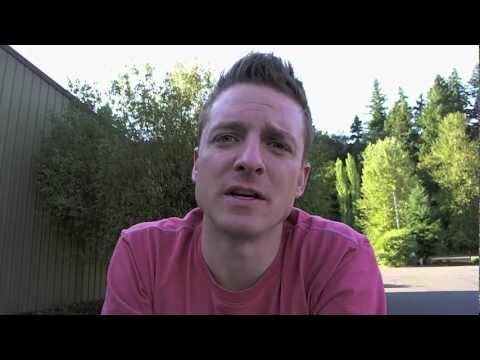 Matt Hixson jumped on video while on spring break in the beautiful Leavenworth, WA to share an update. (He is bragging with the background in this video.) Matt shares Tellagence’s focus around community in 2013, how the industry is moving away from the initial promise and moving towards using social for mass marketing. Shortly after we started Tellagence I started doing video updates to let my family, friends and business partners know what was going on with the business. As we have grown and continue to get busy I have not done those as much as I would like. Last week I took a few minutes to record an updated. We were in between meetings down in Palo Alto so we stopped by the Stanford campus to enjoy the campus and a bit of sun. I'm getting better about making my video updates more concise but for those of you that enjoy reading more here is what we have been up to over the past 60 days. If you have been following along with the blog you know that at the first of October we had the chance to launch Tellagence to the world at DEMO. The press we received from that event (Wall Street Journal, Venture Beat, TechCrunch, Bloomberg Businessweek) drove a ton of interest in Tellagence. We have been doing 2-5 demos a day for most of October and November. These have been a great validator of the interest in the product and the importance of the problem we are solving. I would expect lots of tire kickers but we have had lots of great conversations with some of the top brands and agencies in the world. We are also out raising another round of capital to fund our growth. With the demand we have after launch and a market that exploding we are putting the resources in place to create a company that can have a major impact on how people leverage social networks for their business objectives. Things are moving quickly and we are having a great time. We are spending the last couple weeks of the year gearing up for an exciting 2013. We are hiring and we are bringing on new customers. If you have interest in either reach out to us. We would love to chat. It feels a little delayed to share this post now, three weeks after the DEMO Fall 2012 event. The event offered so much to Tellagence that we are only now able to get around to it. These are good problems. At the beginning of 2012 Nitin and I set a major milestone – launch Tellagence at DEMO Fall 2012 on October 2nd. After talking with our launch team we decided this event was the best time and place for us to introduce Tellagence to the world. Three weeks ago we did just that. We not only attended DEMO Fall 2012, we had the chance to lead off the social category with our demo presentation. Ask my colleagues; I am a wreck before a presentation. Anxiety is off the charts. After two weeks of this scrutiny, those 6 minutes go by quickly. The time disappears. I walked off stage not fully remembering what I said but I knew we hit the points we wanted. The feedback we received from the sage panel was great. Our entire team worked like crazy to get to hit this milestone. They spent many long nights and weekends over 6 months and they delivered something great. We knew we had to pick the right team to launch Tellagence and the first product the way we had envisioned. We were successful. DEMO was a wonderful experience. The show was extremely organized and the behind the scenes team was awesome. I have to admit that there is nothing more nerve racking than working on a company for two years and getting six minutes to present it to a room full of press, VCs and potential clients. To add to the pressure I knew that my family and tons of other people were watching the live stream. I would do it again in a heartbeat. It was worth the work and pressure. Nathan Gold (The DEMO Coach) told me that the most important thing about your pitch is the video because it lasts for a long time after the event. You can check out our video in this post. I feel like we did our journey at Tellagence proud and we can now start bringing it to more of the world. We aren’t in hiding anymore! Matt Hixson (CEO and Co-Founder) and Nitin Mayande (Chief Scientist and Co-Founder) presented at DEMO to officially launch Tellagence’s first product for Twitter. What does this mean? We can now show you our product and we are beginning discussions with new clients. How does Tellagence fill this gap? Our technology successfully unlocks the complexities of online relationships and tells brands and businesses who will be motivated to pass on their messages. It’s built on algorithms that monitor and understand the dynamics of relationships within networks. It accounts for context, understands changes in behavior, and most distinctly, uses science built to understand online human communication unlike any other network analysis tool. We’ve launched with our first produce for Twitter, with more products for other social networks already in development. Here we are on day one of DEMO Fall 2012 getting ready to launch our first product. We have been in Santa Clara for the past week preparing and for the next two days, we’ll share our product with the DEMO conference. We could not be more excited. We invite you to share in the fun and watch the DEMO Fall 2012 Livestream of presenters. Matt and Nitin will be presenting at 9:05a on Wednesday, October 3! Don’t be late -- this presentation is only 5 minutes. We were able to go live with the announcement of our product and our launch at 9:01 EST last night. At that time, our website went live and the Wall Street Journal published their take from a previous interview where we demonstrated our technology. You can read the article here: Startup Says it Can Predict Social Information Flow. We’re grateful for the journalists and industry analysts who have sat down with us so far to learn more about what we’ve been building. While this is only the beginning for our company, we’re excited about what’s already happened and what’s to come. Oregon Entrepreneurship Network's (OEN) Tom Holce Awards will take place this Thursday, September 20th. Matt Hixson, Tellagence CEO, is a 2012 finalist for the Development Stage Company Award. Matt and the other finalists are each featured in a series of video interviews here. These interviews do a great job of capturing the genuine essence of each nominee, their entrepreneur style and what company they are passionately creating and supporting. The entire Tellagence team is excited to attend the event in support of Matt, the other finalists and all entrepreneurs. This is a wonderful event that OEN puts on to focus on the men and women creating jobs, revitalizing our economy, and enriching our community. And of course, it should be a great time. Again, recommend watching the video interviews with each nominee, here. We look forward to sharing more about the event and all the winners. Being part of a five-person startup is something pretty swell. I'm feeling a lot like I did just out of grad school in 1991 -- energized, caffeinated, and ready to go! It is a joy to be designing the experience for a product that we believe will be really helpful for people trying to make some sense of social media marketing channels. Without buzzing on "Agile" or "Lean Start Up" UX, I'd like to talk about what we are doing to get a Minimum Viable Product with great user experience out to market. If you came to visit us, and looked around the room, you'd see most of the product UX spec existing on our walls -- -- constantly re-prioritized to get to MVP. A year ago, Matt and Nitin and I pulled together some Proto Personas for this product we are currently working on. We focused on the essentials. Who is this person? What is their role at their company? What are their Goals? How are they successful? What is their state of mind? What tasks are associated? HOW CAN OUR PRODUCT MAKE THEIR LIVES BETTER? We came up with six. Over time, we've focused on one core persona. Her name is Stella. Stella's picture is everywhere in this room. So is her story. For this first release, FOCUS is the name of the game. We have identified one "brass-tack" goal -- if Stella achieves this goal, she is going to be wildly successful. That goal is written in sharpie on a very unassuming lime green super-sticky post it note that is stuck to the story wall. There are also twelve pages of printed out narrative that describe Stella using our new product to meet her goal. We call that the User Context Scenario or "connective tissue" story we are looking for. This is a narrative description of a person using our solution to successfully reach a goal. Our "start-up to value" scenario breaks down into six stacks of features and functions that make up an end-to-end success story. We did not plan for six stacks -- it just worked out that way. As we wrote, we discovered things we needed, and found that things we thought we did, didn't need to be included. Next, we pulled user stories out of the context scenario. One hundred and two. We prioritized them. We put up a blue tape line. We walked around and moved those stories above and below that blue line until we all felt good about the Rel. 1 stories above the line. So we put Stella's question on the wall -- and wire framed a scenario that took her through a process of answering that question using the features and functions we had identified. Naturally, this spawned more stories -- and refined detail for our existing stories. Focusing a product click-through on a particular goal (in this case answering a user question about her data) is helpful for contextualizing all the features and functions into a flow that makes sense. This question has become our test case as we engage in UX sessions with our customers. I'll write more about those next time. If you are interested in participating in those, please contact us. We'd love to get your input! In a startup there are quite a few external events that are necessary but they can take you away from your core mission. After raising a bit of money and hiring a team we have been trying to avoid those events for a bit. We have something special to deliver later this year and the team has been focused on doing just that. In this quick update I talk about our product development and touch on Social Mix 2012. There are exciting things to come - stay tuned. I realized when doing this post that it is been over two months since my last update. We have been a tad bit busy.At that time we had just made the top ten for Angel Oregon and funding conversations were just starting. Since then we have closed a significant round of funding, in part because of Angel Oregon. That led to a team that has been running full speed for about two weeks and making massive progress. I could not be more happy with the team we have. They are a fun and passionate group but most importantly we have great debates, work extremely hard and are all focused and excited. We missed an opportunity to provide value. 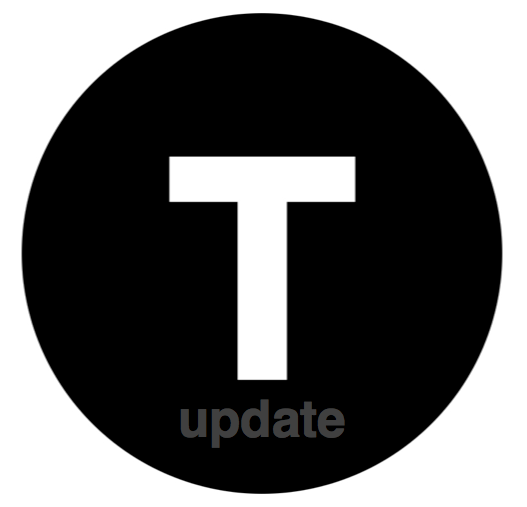 We've been giving updates, sometimes vaguely, about where we are as a company. What we haven't done is giving you any pointers on how to avoid the problems we've run into. We're changing that now. I was posting regular video updates about our startup but it has been a while. It wasn't until I went to look for the last one that I realized it has been since the middle of December. Here is an update I posted last night after a huge day for us. It was a day that paid off all of the hard work the team has been doing. Check it out and look for much more to come over the coming weeks on the blog. Yesterday I headed down to Austin, TX for SXSW. This is my fourth year at the event and every year brings new things. At this event you see lots of companies trying to make a name for themselves, historically these are startups. This event has the opportunity to really put a company on the map, especially if you are targeted at consumers. You have the opportunity to get a ton of people to try your app since there are a large amount of early adopters. If you provide them a good experience and value there is a shot that this event is a major springboard for you. Foursquare launched in 2009 at SXSW. Quite a few people downloaded it but many of us weren't connected so the appeal was pretty limited. In 2010 they had grown quite a bit and SXSW was an event that showed the power of Foursquare. That was a fun year because I ended up with the agency sub-culture since I was hanging out with my friend Matt Trego (who is currently working on our new branding and website we will launch soon!). Foursquare was getting traction but this was before they were on the cover of every magazine. They had some funds so they did some cool things and threw some parties where there were only ~100 people there so the entire Foursquare team was there, which gave us a chance to chat with them quite a bit. Foursquare has done well and they continue to grow but for every Foursquare there are 100's more that don't do so well. As I was packing I came across an item in my junk drawer from SXSW 2010 (actual pic from last week). This is from a company called Stickybits. The idea was that you put these little bar codes on things, scan them with your phone and it took you places on the web the end user could dictate. For some reason I remember them well. They were running around with bright red t-shirts on with their logo and one of the guys had a huge mop of blond curly hair. They also had a table set up at the Foursquare party, which is where I had a chance to chat with them a bit. I don't remember what I did 10 minutes ago but for some reason I remember that? Go figure. The other thing I remember about them is thinking - this idea will never fly. Being an entrepreneur you spend a lot of time with other entrepreneurs. There are some companies you look and and you just can't see the long term potential. Stickybits was one of those companies for me. Fast forward to 2012 and these guys have massively pivoted to be one of my favorite sites on the internet. Somewhere along the way they realized that Stickybits was not all that sticky and they needed to do something else with the money that they raised. What they came up with was Turntable.fm. This is a music site where people go into a virtual room and take turns DJing their favorite music. I discover a ton of great music that you would never hear on the radio. 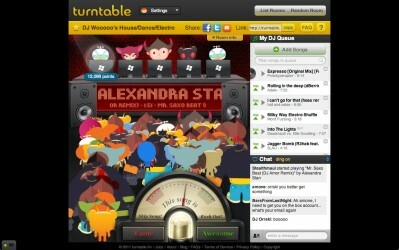 Turntable.fm been an interesting site to watch because of some of the social dynamics that go on, but more interesting to me is their pivot. I don't know these guys but I would love to talk to them about their experience. Most startups pivot at some point. I was having coffee with a friend the other day who is the CEO of a company that has pivoted two times since we last chatted 6 months ago. Luckily we have not had to pivot to this point. We took a ton of time before we started this company validating the market and the problem. Nitin spent 5 years doing PhD research discovering a significant hole in the actual science behind how social networks work and he filled that gap. Most people walk away really excited about what we are doing after we have a chance to speak with them, but there is no telling what tomorrow brings. The reason I am writing this is the pivot is an interesting reality that most startups have to face. Some are big and some are small, but how do you know when it is time to face that reality? As entrepreneurs, we are passionate about what we are doing. We believe we can change the world. We are also very close to the problem and our solution. We have never lost a bit of conviction that we are onto something that can change the way people and businesses use social networks, but I have thought a lot about how do you make sure you have a dose of reality when needed? One lesson I've learned is you have to surround yourself with the best team, advisors and friends that you can who can give you an objective look at your business. You listen objectively but don't let you conviction waiver unnecessarily. That is the only way people have ever created amazing products, companies and experience that have an impact. Have you had to pivot? What was your experience like? I would really love to hear from you. Today we are in the office doing end to end testing on our first Alpha. The last month has been a busy one (as usual). We brought on two people to the team which we are very excited about. Now it is about execution and raising our seed funding after the first of the year. After a week out at Defrag, we have validated conviction that we are on to something. With an alpha quickly approaching here is a quick update as to what we are working on. It has been an interesting 7 days. We moved in a very positive direction that has seemed to have unlocked a bunch of things we needed to figure out. Now the only issue is that we have to go back and redo some work on assumptions we had made around the business. Enjoy and let us know what you think. Tellagence Startup Update #6 - A Prototype is Almost Here! We are working hard and not sleeping much these days. Last Friday was an all nighter for the engineering team. We are quickly approaching having a prototype. I'm very excited to see it because we are on the verge of doing something very special and have a huge impact on social media. Check out the video below. I would love to know your thoughts. Tellagence Startup Update #5 - We have this big vision! Here is our latest update on our progress. The big picture here is we have moved from a big vision that was hard to grasp to a specific problem we are solving. That process has helped us in a bunch of ways that helps us be clear about the value we are providing to our customers. It also enables us to tell a more coherent story to potential investors. I have been giving updates to our progress on Tellagnece over on my personal blog at matthixson.me. I wanted to start posting them here also since I discovered that many people are following our progress and are interested in what we are working on.